Along with popular and country music, blues is now a booming, modern audiovisual industry. Particularly since the mid-1980s, when a young guitarist/vocalist from Texas named Stevie Ray Vaughan interrupted the decade’s synthesized, video-driven pop trends by blending rock swagger and blues rhythms to help create an ongoing roots music revival. A sizable, pre-existing subset of aging traditional blues fans has ballooned since Vaughan mixed Jimi Hendrix’s firepower and Albert King’s phrasing until his untimely death in a 1990 helicopter crash. Now, there are more blues artists, clubs, festivals and cruises than ever before. And South Florida’s blues ambassador is Jesse Finkelstein, founder and managing director of Blues Radio International. A tall, soft-spoken, otherwise retired attorney and grandfather in his 60s, Finkelstein delivers broadcasts from the decidedly non-blues location of a high-rise condo, overlooking the ocean in Hillsboro Beach, that’s also his residence. The Rochester, N.Y., native has been based in South Florida for 12 years – and since 2012, he’s broadcast the world’s only live blues program on the seemingly outdated, decidedly non-hi-fi shortwave radio format to listeners on six different continents, adding intermittent shoots in 2013 from its own broadcast channel, BRI TV. The live radio performances and interviews appear simultaneously, with better fidelity, on the internet through Okeechobee-based Radio Miami International. Yet it’s the 100-plus-year-old shortwave technology that allows BRI to reach two-thirds of the world by audio beyond the internet, which is still in its comparative infancy, and blocked or unavailable in most countries. 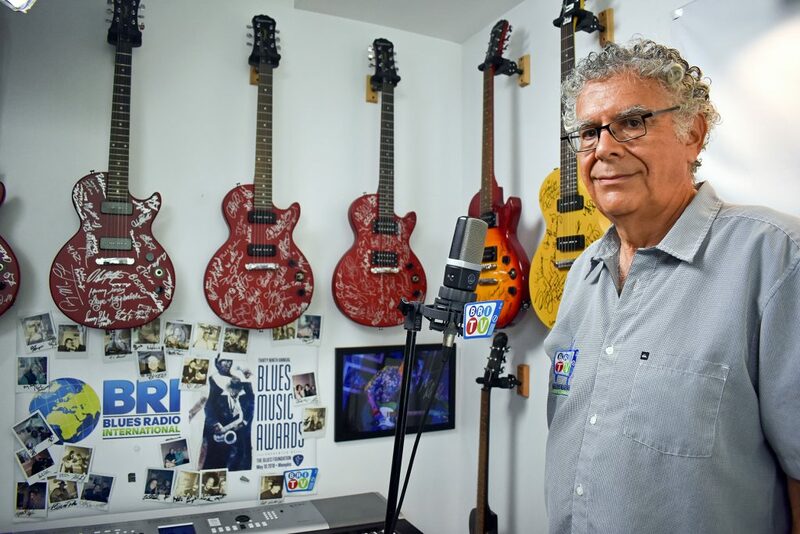 “I’ve been interested in radios since I was a teenager, and collect a lot of them,” Finkelstein says, gesturing toward shelves displaying dozens in his living room. “Most of these are European shortwave radios from the ’30s through the ’50s, which gives you the idea that people were tuning into them from places like Munich and Vienna, perhaps during World War II. This one was made by General Electric, and here’s one made by Firestone. Framed photos of BRI performers like Susan Tedeschi, Derek Trucks, Walter Trout, Tinsley Ellis, and Bob Margolin line the walls of a hallway leading west toward the broadcast studio, which might otherwise have been a modest-sized office or spare bedroom. The decor there includes shots of additional performers like Keb Mo, Samantha Fish, Elvin Bishop, and Rory Block. There’s also a guitar owned by the late Roy Buchanan, and a couple custom axes made by Duke Robillard, amid screens, microphones, cameras and, of course, more radios. “I started working in commercial radio at age 13 at a small station,” Finkelstein says. “There’s a picture of me doing that in 1974 up there on the wall. I’ve always been fascinated by the science of it; the ability to reach people in different places. 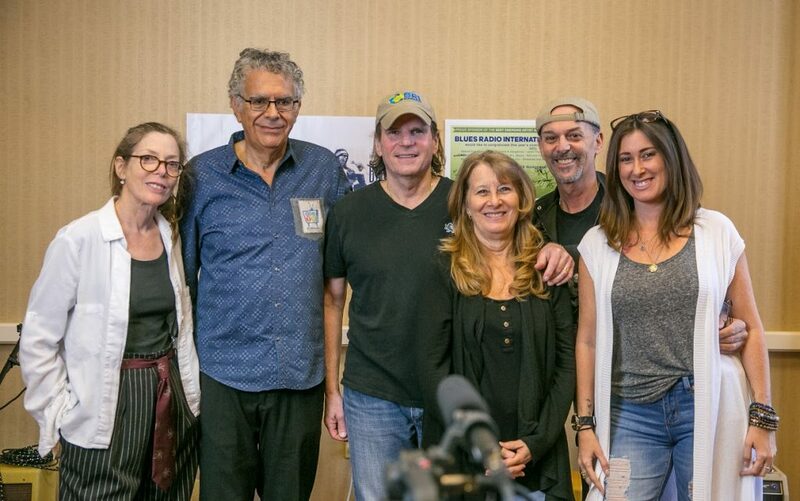 The impetus for Blues Radio International was the thought that there was something beautiful to be shared, including with people you couldn’t otherwise reach, if you could figure out how to do it. Shortwave radio doesn’t only allow for listeners from far-away locales. Native New Yorker Taj Mahal, the iconic, 76-year-old roots music vocalist and multi-instrumentalist, has said shortwave first allowed him access to the blues. Finkelstein grabs a pen and paper to draw a diagram that helps to illustrate the medium’s special properties and functions. “With a four- or five-dollar device, people in difficult situations in impoverished areas, refugee camps, or war zones can hear the programs this way,” he says. “Not just our friends with problems like debt and divorce, but people who are truly in misery. The Earth is curved, and transmissions like FM are based in a straight line of sight. If the transmitter can’t see your receiver because of that curve, then transmission is impossible. 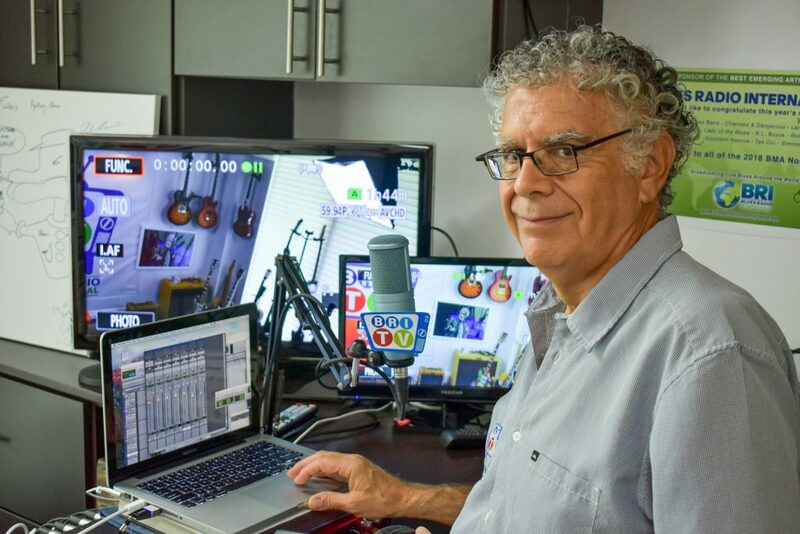 Finkelstein also broadcasts annually from the Blues Music Awards in Memphis and other international locales, and records segments at area nightclubs like the Funky Biscuit in Boca Raton, all available on the BRI website. What you won’t see there is advertising of any kind. BRI is a true nonprofit that, in fact, goes far into the red within its leader’s deep pockets. Yet he focuses on his non-monetary gains rather than counting fiscal losses. To exemplify that point, he brings out thank-you letters and emails from fans in places like Germany, Syria, Cuba, and Russia. 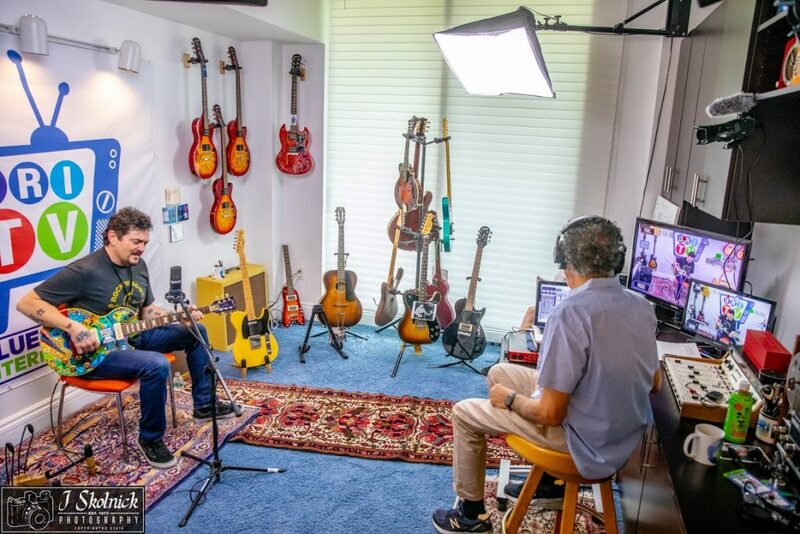 A fan of all forms of music, including intricate jazz, Finkelstein purposely chose the blues genre for broadcast because of its relative simplicity, feel, and universal roots music appeal. It’s the relationships, whether between he and his interview subjects, or himself and people on a different continent that he’s touched through radio yet will never meet, that Finkelstein hints might eventually be the basis for a BRI-based book. “We interviewed [Allman Brothers Band co-founding drummer] Butch Trucks not long before he died,” he says, “and Johnny Winter on his tour bus maybe a year before he died. Guitarist Matt Schofield has demonstrated the unique styles of blues greats, and keyboardist Jon Cleary the aspects of blues that makes the music special. We’ve had some great interviews, and some great connections not necessarily related to music. Walter Trout talked about an amazing encounter with Carlos Santana that changed his life. When Finkelstein refers to “we” instead of “I” or “me,” it rings genuine. He’s not a performer, admitting only a cursory knowledge of musicianship despite the dozens of vintage guitars he’s collected, with many on display throughout the condo. Only a small volunteer staff helps with the multiple levels of presenting weekly BRI broadcasts. And that staff seems to share his selflessness. More than five years into his mission, Finkelstein has succeeded in delivering the blues around the world, largely to multitudes who essentially have the blues yet hear in the music reasons for optimism. He sees it as the sound of overcoming hardship, and envisions only a brighter future for the station and its listeners. Hear Blues Radio International’s live performances and interviews every Sunday at 9 p.m., Monday at 9 p.m., and Thursday at 9:30 p.m. on 9955 kHz shortwave or on a simultaneous stream at www.wrmi.net. New BRI TV episodes air once or twice weekly, and both audio and video archives are available through the BRI website. Editor’s note: An earlier version of this story gave the incorrect time for BRI’s Monday schedule.